The U.S. government sued to block the world’s biggest beer maker from spending $20 billion to get even bigger, the latest deal to fall prey to global antitrust regulators. 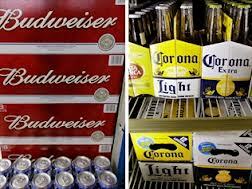 The surprise lawsuit seeks to block Bud Light maker Anheuser-Busch InBev NV’s ABI.BT +4.01% deal with the Mexican company that owns the Corona brand, and comes just a day after concession talks with the government broke down. U.S. authorities said they want to prevent any overcharging by the global giants that dominate mass-market brews. Beer specialists were divided on whether the merger could survive, with some speculating that AB InBev could relinquish further control over Corona sales in the U.S. to assuage concerns about pricing dominance. The suit caused a sharp drop in shares of AB InBev and its would-be merger partner, Grupo Modelo GMODELO.MX +0.45% SAB of Mexico. It hit shares of Constellation Brands Inc. STZ -0.90% even harder because the wine and spirits producer was set to expand as part of a side deal in the merger.